BUYING FORECLOSED, SHORT SALE and Los Angeles BANK-OWNED (REO) PROPERTIES usually starts late at night . . . After watching a late-night infomercial on getting wealthy investing in real estate you're finally ready to do the bank "a favor" and take a problem home off of their hands. Of course you expect to make a killing in the process. It all sounds too good to be true, but it actually MIGHT happen. At the outset you need to look at some facts, understand the Los Angeles foreclosure process and get yourself prepared for reality. If you're reading this page, no doubt you are aware of the recent downward turn in the California real estate market.This trend at first left the Los Angeles real estatemarket with a large inventory of properties at reduced prices. Some were distressed properties that had received a notice of default or NOD, short sales, or Los Angeles bank-owned (REO) properties. Distressed properties stem from the loan industry crisis; home owners who were otherwise not able to afford to purchase a home, did not have a down payment, or did not have the income to make a large monthly house payment, and/or had questionable credit were offered "creative" financing terms from lenders eager to lend money. Adjustable-rate mortgages, known as ARMs, were especially prevalent in the sub prime market, drawing borrowers in with an initial low “teaser” interest rate, which can spike upward after the first few years. When the ARM adjusts (usually with a two-year term) the monthly payment skyrockets. Those who were struggling to make their mortgage payments found themselves facing payments that jumped hundreds of dollars a month. It wasn't only sub prime borrowers who may have fallen into this trap. With home equity loans so easy to get, some borrowers pulled all of the equity out of their homes expecting the value of their homes to continue to rise. Some of those people are ended up facing high mortgage payments and the value of their houses dropped to less than what they owe. It's not a pleasant situation to be in regardless of how the borrower ended up there. 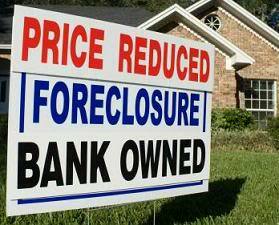 So why would you want to buy a preforeclosure, short sale or Los Angeles bank owned property? The number one reason is simple - more value for your money. REO stands for “Real Estate Owned”. These are properties that have gone through the California foreclosure process and are now owned by the bank or mortgage company. This is not the same as a property up for foreclosure auction. When buying a property during a foreclosure auction (trustee's sale), you must be prepared to pay with cash in hand and complete at the court house steps. On top of that, you’ll typically receive the property 100% “as is”. That could include existing liens and even current occupants that need to be evicted. A REO, by contrast, is a much “cleaner” and attractive transaction. The bank owned property did not find a buyer during foreclosure auction. The bank now owns it. The bank will normally see to the removal of tax liens and mechanics liens and generally prepare for the issuance of a title insurance policy to the buyer at closing. Do be aware that REO’s are exempt from normal disclosure requirements like the Transfer Disclosure Statement- The document that requires sellers to tell you about any defects they are aware of. Most buyers assume that any REO must be a bargain and an opportunity for easy money. This simply isn't true. You have to be very careful about buying a Los Angeles bank owned property if your intent is to make money off of it. While it’s true that the bank is typically anxious to sell it quickly, they are also strongly motivated to get as much as they can for it. When there are relatively few homes on the market, the property will likely sell well above the list price. When considering the value of a REO, you need to look closely at comparable sales in the neighborhood and be sure to take into account the time and cost of any repairs or remodeling needed whether you are buying the property to live in or hoping to flip it for a quick profit. The bargains with money-making potential exist, and many people do very well buying foreclosures. But there are also many REO’s that are not good buys. This is where you have to do your homework to make sure the property you are interested in fits your needs. The help of an experience local agent definitely comes into play here. Questions About Los Angeles Foreclosures?